At their destination, a glance at the display or the LEDs tells you whether the configured limit values have been adhered to. 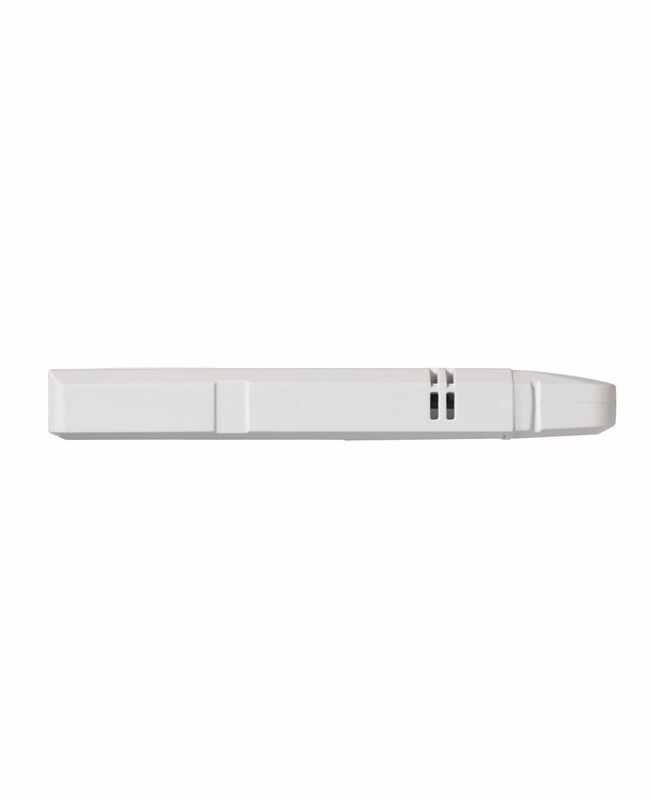 In order to obtain detailed information, it is sufficient to connect the logger to a PC – a PDF report is immediately generated with all relevant data. 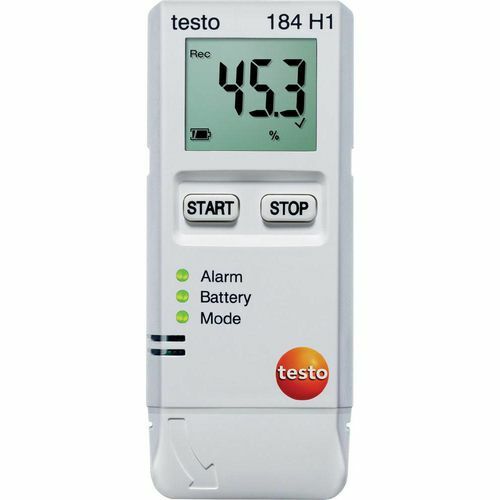 In order for you to be able to work even more efficiently and conveniently with the data loggers, all required files and information are stored directly and securely in the testo 184 H1: Configuration file, instruction manual and PDF report of your recorded data. The measurement value store of the temperature data logger testo 184 H1 has a capacity of 64000 measurement values. 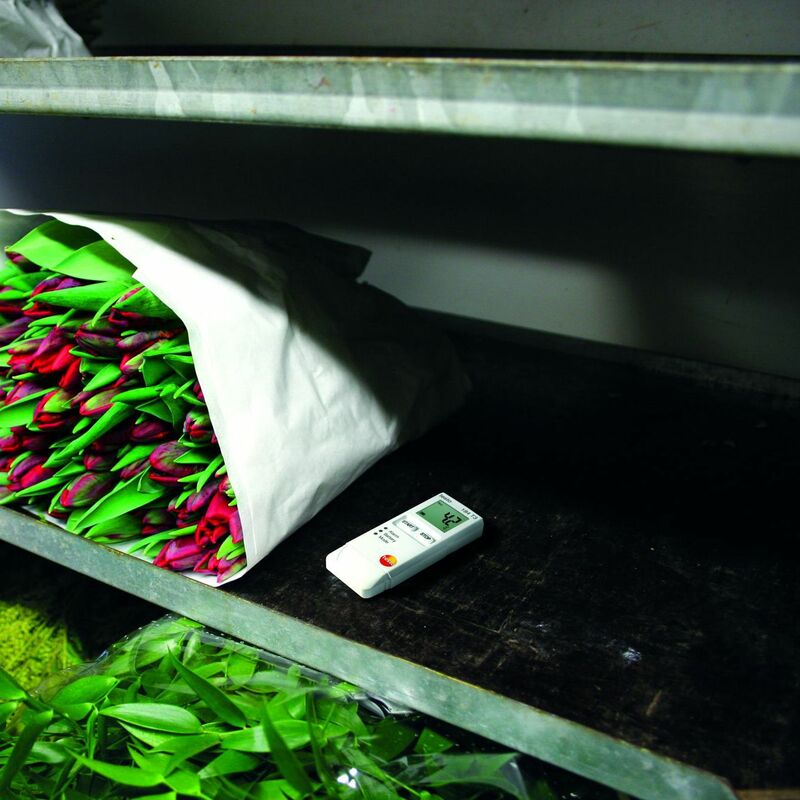 The measurement rate is freely selectable from 1 min to 24 h. The battery has a life of 500 days. 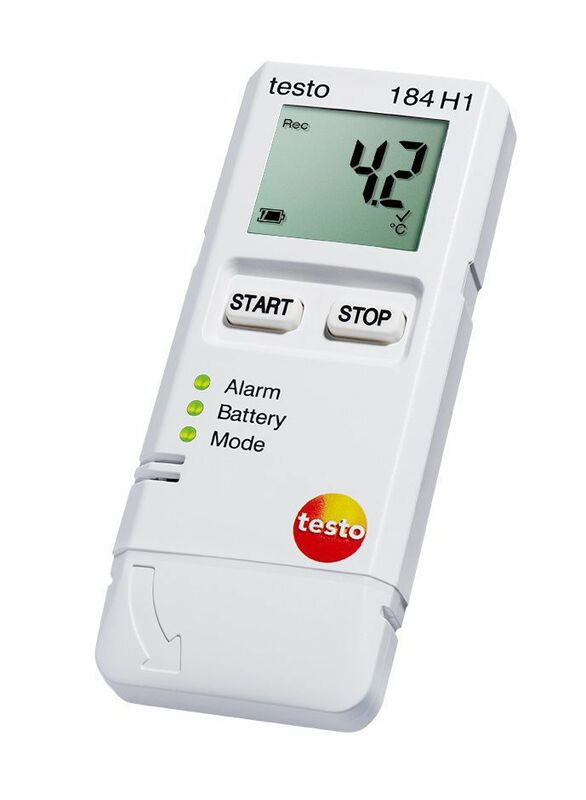 The temperature data logger testo 184 H1 is supplied by a standard battery which can be exchanged by the user. 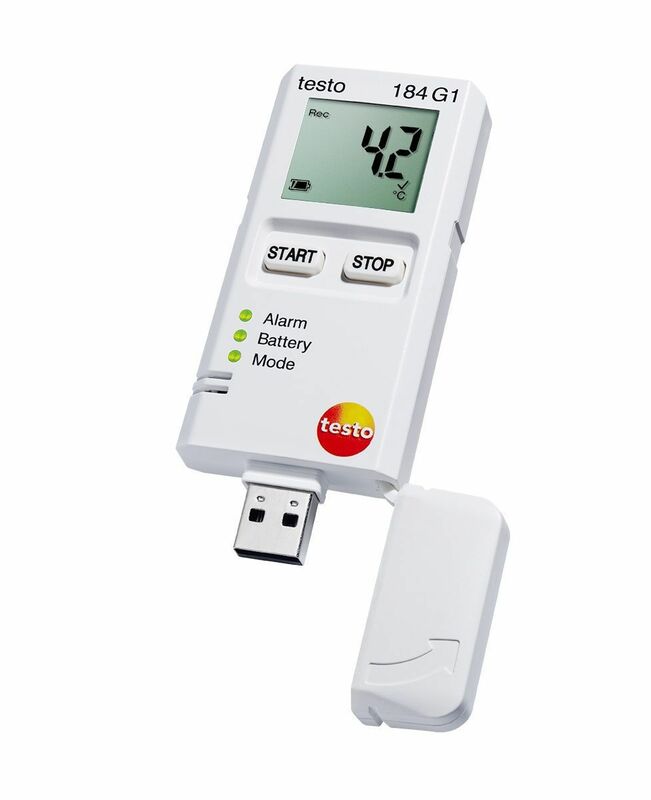 testo 184 H1 is compliant with GxP, 21 CFR Part 11 and HACCP. Testo AG is an ISO 9001:2008-certified company, and ensures the adherence to the norms through internal audits as well as accredited external audits.